It was Valentine’s Day yesterday, or Vegantine’s Day as we like to call it. What do vegans who like to cook eat on Vegantine’s Day? Breakfast: For breakfast, I made pancakes. 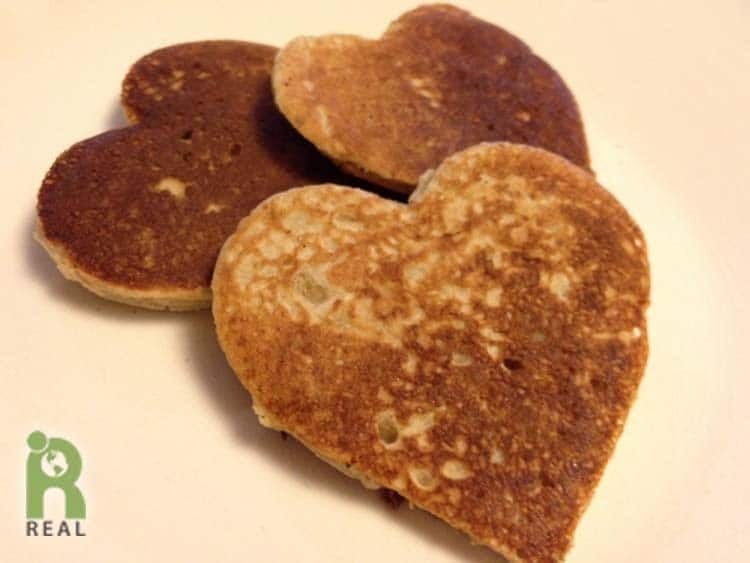 We have a lot of pancake recipes here on the site, and now we have a new one, a pancake recipe for Vegantine’s Day or for any day you want to treat someone special (like you!) with something special. These pancakes were thick, fluffy, chewy and shaped like hearts! I made a variation of our Apple Banana Berry Compote recipe using pears in place of the apple and strawberries instead of raspberries. My hot beverage for this morning was Organic Genmaicha Extra Green Tea. Daily Green Juice: Made with kale, collards, celery, lemons and limes. 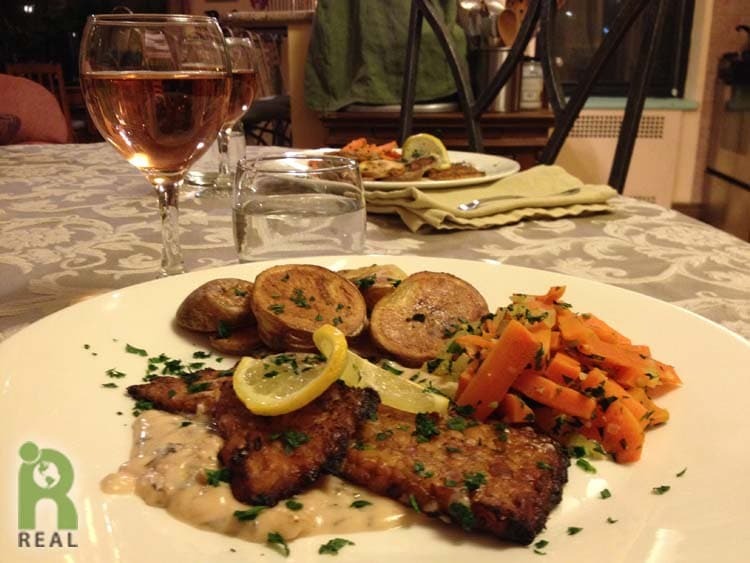 Dinner: Valentine’s Day Blue Plate Special! Carrot Sticks sautéed in onions, garlic, celery, and garnished with chopped kale. Comes with a glass of vin Rosé and a Sundae. 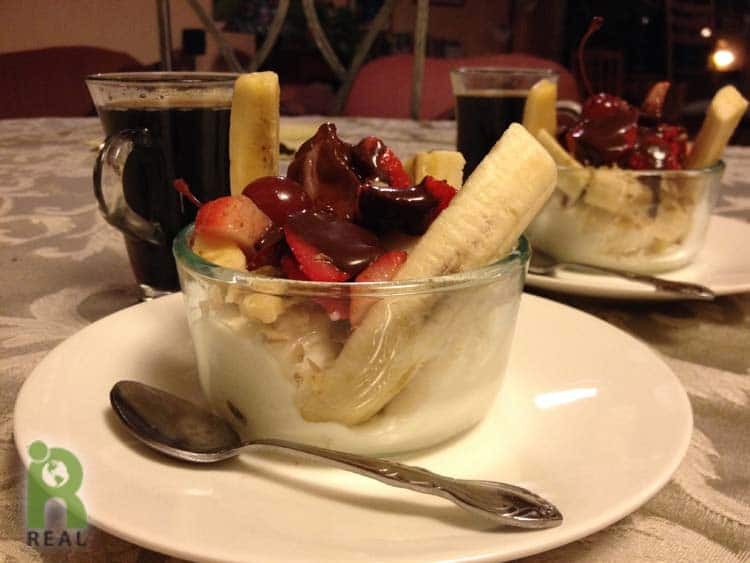 The Sundaes, which I made, came with a hot drink, Vanilla Nut Teecino.